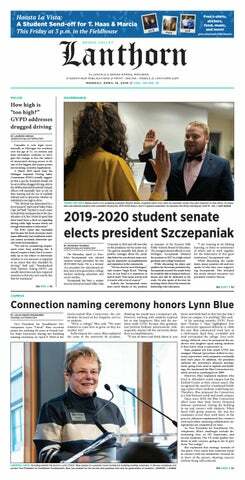 GrandPR, Grand Valley State University's student-run public relations firm, has been granted national affiliation recognition by the Public Relations Student Society of America for the second time since its establishment in 2007. Out of over 100 student-run firms across the nation, only 40 have been granted this recognition. The Public Relations Student Society of America, or PRSSA, has certain standards that nationally affiliated firms must excel at in order to receive recognition. The three main areas are: maintaining a relationship with their local PRSA parent chapter, exuding professionalism both in and out of the firm and operating using an effective structure, according to the PRSSA website. GrandPR was established at GVSU in 2007 by a group of students in the advertising and public relations program in the School of Communications. It launched with less than 10 core staff members and a faculty adviser. In 2009, GrandPR began a rebranding process, including restructuring campaigns in order to become nationally affiliated by PRSSA. Today, it has grown to over 20 members. Its mission is to provide strategic public relations counsel with innovative communication tactics from a fresh perspective, and they hope to continue to improve reputations, build brand awareness and gain desired outcomes with the client's best interest in mind. Olivia Mashak, vice president of operations for GrandPR, said that the standards set by PRSSA are things that the current leadership, and the leaders before them, had worked together to accomplish. Katie Vanderlinde is an account executive for GrandPR and said PRSSA recognized GrandPR because of their outstanding work. Vanderlinde went on to say that what makes GrandPR worthy of recognition is that it continually provides outstanding service to clients and continues to embrace three core values: connection, professionalism and structure. “This recognition means that GrandPR will be a stronger, more unified team, allowing us to expand on our PR skills, grow our staff and clientele base, gain more experience and lastly, create lifelong connections,” Vanderlinde said. For more information on the GVSU chapter of PRSSA, visit http://www.gvprssa.com/.